30TH ANNUAL CELEBRATION OF LIFE! To the more than 200 amazing volunteers and our incredible VPI staff who helped make our 30th annual Celebration of Life Holiday Dinner for the HIV/AIDS Community a huge success! The event served more than 700 guests – members of the HIV/AIDS community and their loved ones – and raised more than the $130,000 fundraising goal for vital support services at Victory Programs’ Boston Living Center. This amazing event celebrating the HIV/AIDS community has continued for three decades because of your support! In 1988, a small group of friends living with a deadly, as yet unknown disease soon to be identified as HIV/AIDS, came together at the home of Kevin George to celebrate the spirit of the holidays. 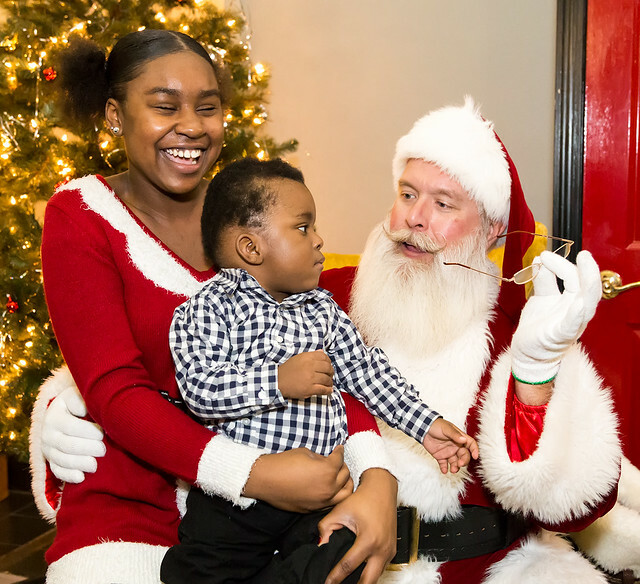 This community gathering struck a chord for Peter Daniel Clark, a founding member of the Boston Living Center, who was inspired to start the tradition of an annual “Celebration of Life” to give people living with HIV/AIDS an opportunity to share the joys of the holiday season with their loved ones. Peter Daniel Clark was a member of the Boston Living Center and a founder of the Celebration of Life Thanksgiving Dinner. Peter passed away in 1992 of AIDS-related complications, but will always be remembered by his BLC family. The Peter Daniel Clark Award is presented annually to individuals or organizations dedicated to advocating on behalf of and serving those living with HIV/AIDS. This year’s Peter Daniel Clark award honored Daniel Faucher in recognition of his years of HIV/AIDS activism. Daniel has volunteered his time through his organization, the Imperial Court of Massachusetts, a 501c3 non-profit founded in 1995 with a mission to raise money by hosting fundraising events for beneficiaries like the Victory Programs’ Boston Living Center. One of Daniel’s signature events, Drag Brunch, which Daniel MC’s and performs in as Verna Turbulence, has supported the Boston Living Center for more than 20 years raising between $10,000 and $15,000 annually in additional funding for vital services at the Center. In addition to Drag Brunch, Daniel as Verna also helps with the Imperial Court’s annual Coronation Ball, another fundraiser for the Boston Living Center, and has performed at the Celebration of Life and other Victory Programs events on countless occasions, bringing joy and laughter to guests! Brenda Bellizeare was a staff member and member of the Boston Living Center and a powerful voice in the HIV/AIDS community. She used her life experience to help shape services for others living with HIV and to provide powerful advocacy on behalf of her peers. In honor of Brenda we will present the second annual Brenda Bellizeare “Better It Gets” award to honor a Boston Living Center member who, like Brenda, has inspired others and whose journey is only going to get better. This year’s “BIG” award honored Rob Quinn. Rob is a member of the Ryan White Committee’s Consumer Advisory Board and an active member of the LGBTQ+ community in Boston. He facilitates a group at the Boston Living Center and maintains a blog about living with HIV. Rob has been an inspiration to many other members at the Boston Living Center. Please join us in congratulating Daniel and Rob on their well-deserved awards! Photos from the 2017 Celebration of Life!